A new essay writing competition for Pidgin language speakers was today launched by BBC News Pidgin. The contest is open to all current students of a tertiary institution in Africa. A panel of judges drawn from Nigeria, Ghana and Cameroon, and made up of academics, Pidgin authors, and journalists will select one winner. All essays must adhere to Pidgin English structure while conforming to all rules of grammar and punctuation. The winner will be announced at an event in Lagos on September 15th, 2018. They will receive a one year scholarship covering the costs of academic books. Entry to the contest opens on Monday 6th August and closes on Sunday 2nd September. Entries should be submitted to bbcpidgin.essay@bbc.co.uk. Since BBC News Pidgin launched a year ago, the team produced many impactful stories including “Sweet, Sweet Codeine,” an investigative documentary on codeine cough syrup abuse in Nigeria, as well as influential interviews with people including the French President, Emmanuel Macron; former Nigerian President, Olusegun Obasanjo; current Vice President of Nigeria, Professor Yemi Osinbajo; Microsoft founder, Bill Gates; the British High Commissioner to Nigeria, Mr. Paul Arkwright; and Africa’s richest man, Mr. Aliko Dangote. 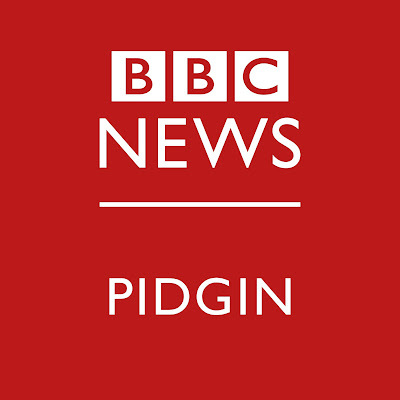 · BBC News Pidgin reaches a weekly audience of 7.5m people (2018) – in Nigeria and around the world on radio, online , Facebookand Instagram. BBC News Pidgin is part of the BBC World Service. · BBC World Service’s BBC Africa hub brings together the production of multilingual content about the continent on radio, on TV and online on bbcafrica.com. As it delivers content in Afaan Oromo, Amharic, English, French, Hausa, Igbo, Kinyarwanda, Kirundi, Pidgin, Somali, Tigrinya, Kiswahili and Yoruba. BBC Africa ensures a pan-African approach to the output, offering its audiences opportunities to join the global conversation. BBC Africa has teams based in London and across much of sub-Saharan Africa, and has well established production centres in various cities.